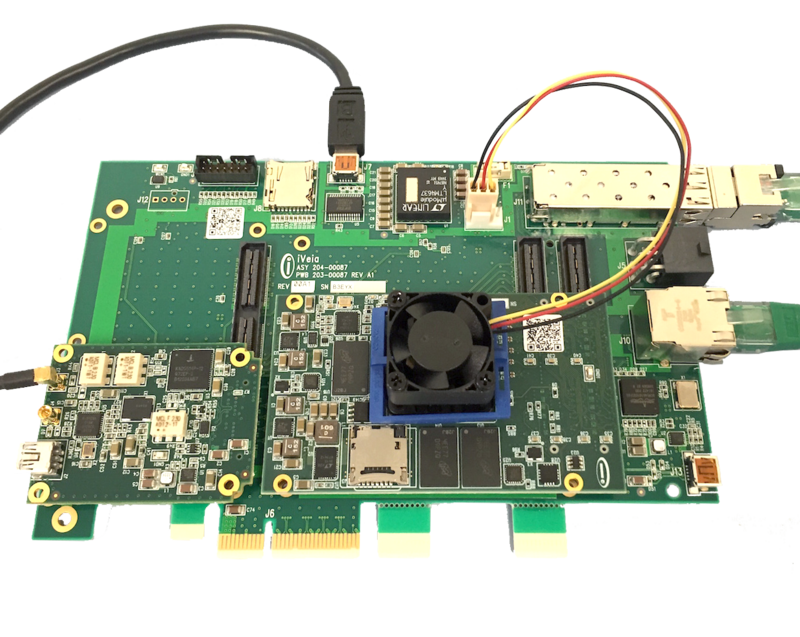 iVeia’s Sierra platform is flexible, compact, and designed for production applications (but also is great for prototyping!). The platform can support an Atlas-I up to an Atlas-III system-on-a-module for complex algorithm processing. Through the two Mini-Flex I/O interfaces a number of different I/O configurations can be supported, including high-speed analog-to-digital and digital-to-analog converters, high-definition video interfaces, as well as board-mounted CMOS cameras. Further scale your application by using Sierra as a PCIe plug-in card.